Winner 5 is Easter whose favorite fairy tale is East of the Sun, West of the Moon. She wins a copy of Twelve Dancing Princesses Tales From Around the World . Thanks everyone for visiting SurLaLune! 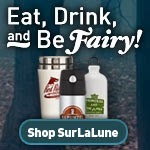 I performed a fail with the recent SurLaLune Giveaway by not actually announcing and giving away each week. I've been spread too thin with the upcoming SurLaLune book releases. So today is devoted to giving away all the prizes. I generated random winners at Random.org based on date of entry and what should have been the corresponding week. So for several hours today, I will be announcing winners. I will also contact the winners by mail and must request a reply with mailing address by Tuesday, June 14 at 11:59 PM CST. If I don't hear from the winners by then, I will choose another.